The cell phone, the Internet, and GPS. In the last 20 years, these three successive technologies have transformed how we find our way through our physical environment. Having a cell phone on a car trip meant that we could call for directions if we got lost. With the arrival of MapQuest, we were able to print custom directions and take them with us. More recently, as more devices and cars are equipped with GPS, we find ourselves able to navigate virtually anywhere on the planet with confidence. Now that the Internet and GPS have taken up residence in the cell phone, we all have access to our own personal wayfinding device. An estimated 30% of U.S. cell phone users carry smartphones (phones that can connect to the Internet and run applications), and experts say that in five years, all mobile phones will be smartphones. Google Maps is the clear leader and innovator in maps and navigation, both on the desktop and on mobile devices. More than 100 million people a month use Google Maps on phones worldwide. Because of vigorous competition from Microsoft and others, the Google Maps team is perpetually mobilized to improve and expand their offerings, both for consumers and for software developers, who can create specialized apps on top of the Google Maps platform. The launch of Apple’s iPhone 3GS in June 2009 meant the personal wayfinding device was truly here—its compass and GPS made the phone “location-aware.” Developers can now create applications tuned to specific environments and fulfill users’ needs within that specific context. When the iPhone app store opened its virtual doors the previous year, the infrastructure and business models were in place to support and incentivize a new generation of app designers and developers. 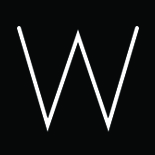 Subsequent releases of the iPhone and its software, along with the debut of the first phones to use Google’s Android operating system, primed the market for a pioneering crop of wayfinding apps. Harnessing the embedded capabilities of these mobile devices, designers, developers, and their clients are finding new and intriguing ways to enhance physical signage and wayfinding systems—while modulating the display of information to the exact needs of the user in a particular context. As our expectations for accessing location-based information on the go continue to rise, collaboration among interactive designers, environmental graphic designers, and mobile developers will drive future generations of innovative and useful apps. With an eye on these new opportunities, the multi-disciplinary firm Applied Information Group (London) saw how an iPhone app could enrich the pedestrian wayfinding system for the seaside resort city of Brighton & Hove. AIG Founder and Creative Director Tim Fendley, who led the development of his firm’s award-winning Legible London pedestrian wayfinding system (see segdDESIGN Nos. 26 and 29), applied what he calls a “360-degree approach” to the Brighton wayfinding scheme. The system includes signage, printed maps, downloadable maps, and an iPhone app—orchestrated to work together, using a consistent brand, visual language, and mapping aesthetic across all media. The first version of WalkBrighton launched in September 2009. The free app features a browsable walking map of Brighton complete with time circles—loops that show how long it takes to walk to various points of interest from the user’s current location. The colorful map includes 3D icons of major landmarks and there are options to display attractions, shopping, and nightlife destinations. As one of the largest museums in the world, the American Museum of Natural History in New York faces wayfinding challenges of an extraordinary scale: 4.8 million visitors a year, a complex of 26 buildings, and 150 years worth of collections in 46 permanent exhibition halls. According to Linda Perry-Lube, AMNH’s chief digital officer, 60% of visitors ask for directions. The enormity of the facilities means that people often spend considerable time getting to the exhibitions they want to see. If those journeys are frustrating, the overall experience may be diminished. 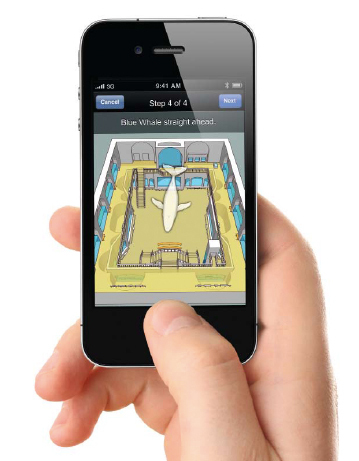 Perry-Lube and her colleagues realized that smartphones could be leveraged to “lessen lost time and increase engaged time.” So they commissioned consulting firm Accenture and networking giant Cisco to devise an interior wayfinding technology strategy. Since GPS doesn’t work indoors or at the precision needed to navigate within a room, the team pursued Wi-Fi triangulation—identifying a phone’s position based on the strength of surrounding Wi-Fi signals—a technology then unproven in a public setting. While Accenture and Cisco tackled the infrastructure hurdles, mobile app developer Spotlight Mobile focused on the application features. Kiyo Kubo, Spotlight founder and CEO, knew their biggest goal was to make the app easy to learn and to use. “Our philosophy is to always give good information,” Kubo explains. But the limits of Wi-Fi triangulation meant that it was not possible to identify the visitor’s exact location in a given exhibit hall. Kubo and his team replaced a specific pinpoint, similar to the location pin on a Google map, with larger shaded crosshairs to show the general location of the visitor on the map. The design worked well in testing, and can be seen in the final app. In July, the museum launched the AMNH Explorer for free in the iTunes store. The app identifies its location from among 300+ Wi-Fi hotspots in the museum and provides walking directions to exhibits and amenities. Maps are rendered in 2D (default) and 3D and rotate to show a heads-up orientation. Users can create custom routes of the exhibits or follow pre-loaded tours such as the popular “Night at the Museum” journey based on the film of the same name. Head 4.4 miles south from the American Museum of Natural History (according to Google Maps, of course) and you’ll encounter Stuyvesant Town/Peter Cooper Village, an 80-acre complex of 56 residential buildings and home to about 25,000 people. To Vijay Mathews, Christopher Auyeung, and Thomas McLaughlin of Winfield & Co. (New York), this dense neighborhood seemed like the perfect proving ground to test a custom wayfinding app conceived to take advantage of iPhone’s latest enhancements. The symmetrical campus plan and uniform architecture contribute to the difficulty of getting around “Stuy Town,” as it is known to New Yorkers. 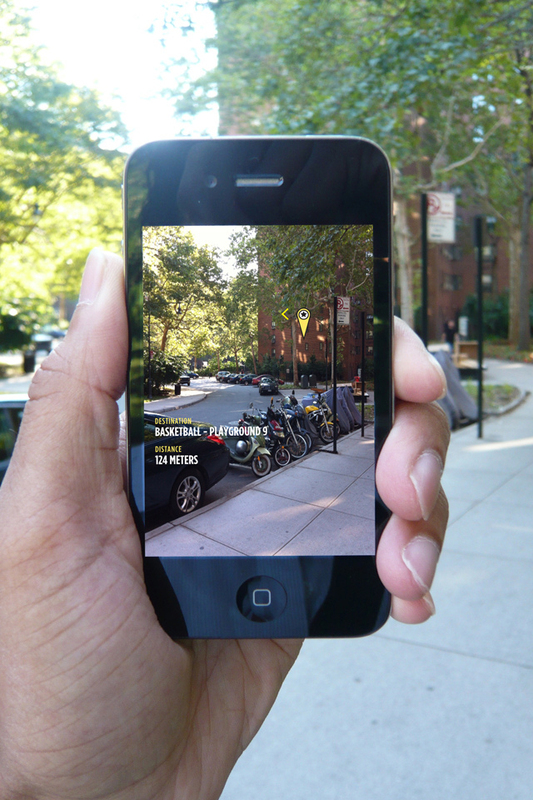 Their free iPhone app, MyNav Stuyvesant Town/Peter Cooper Village, launched in July. Like WalkBrighton, MyNav sports a custom-designed base map optimized for pedestrians, with walking paths and amenities highlighted. Users can browse or search a destination directory and generate a map that shows the shortest path to campus destinations from their current location. However, instead of listing step-by-step walking directions, the app shifts into augmented reality mode, pointing to the user’s destination as overlayed on the iPhone’s camera. The term “augmented reality” has come to mean the display of digital information as an overlay on top of real-time imagery. Just as early wayfinding apps utilized GPS and the compass to provide location awareness, AR applications are exploiting another smartphone feature—the camera—to provide a more intuitive user experience. MyNav overlays directional arrows that point right or left and the distance to the destination over the “live” view of the environment on the iPhone camera’s viewfinder screen. The user holds the phone vertically and orients to face the direction of their destination and walks toward it, much like a hiker following his compass. The capability to augment the reality around us can provide a more immersive and natural interface for wayfinding. As Matthews says, “the mobile platform is now very different from the web and the physical environment.” He believes that mobile apps complement physical wayfinding signage because “they can overcome the constraints of signs such as limited space for content and limited options to display different languages.” Applying what they learned in Stuy Town, Matthews and his partners are currently working on an app for visitors to get the most out of Central Park. Wayfinding is certainly an appropriate use of augmented reality for the here and now, but one innovative museum is employing AR to promote its collections. The Museum of London hired interactive agency Brothers and Sisters (London) to create a viral strategy to celebrate the opening of the museum’s new galleries. Creative team Kirsten Rutherford and Lisa Jelliffe decided that AR would be an excellent way to take the museum’s extensive art and photographic collections outside the museum walls via a mobile device. 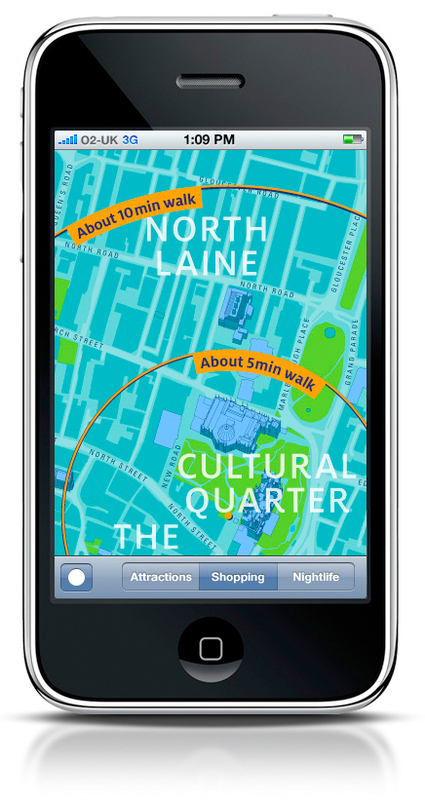 The resulting app, Streetmuseum, highlights 250 London locations on an interactive Google map. Click on a pin, choose “3D view,” and an archival image from that specific viewpoint is composited translucently in real-time over today’s street scene via the camera’s viewfinder. 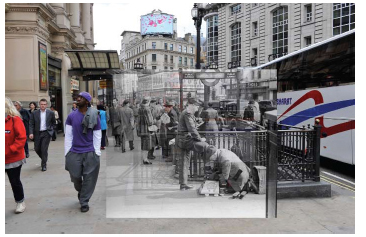 Pan across a dense intersection, and the history of London is revealed in image after image in an eerie and fascinating way.